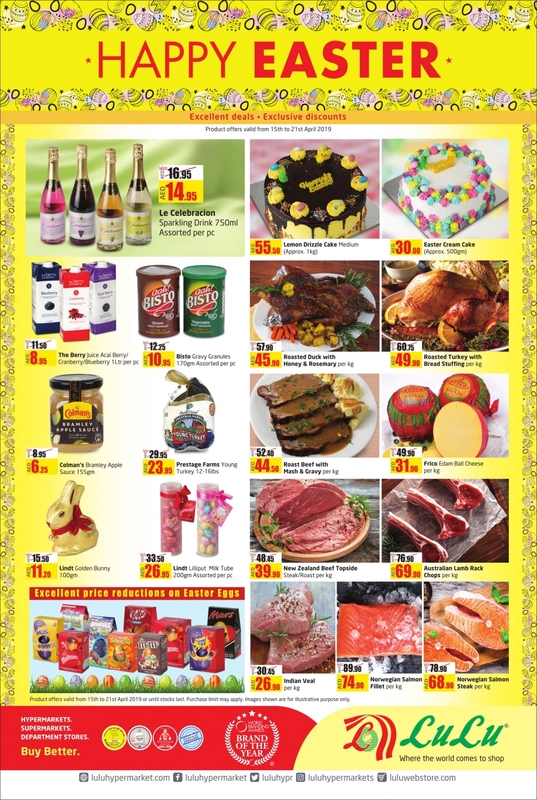 Lulu Hypermarket Happy Easter Offers in UAE from 15 to 21 April 2019. Don't Miss This Offer. #luluuae, #Dubai, #Abudhabi, #Sharjah, #uae, #deals, #offers, #uaeoffers, #uaedeals, #offersinme.